Thanks to strong Democratic leadership, Fairfax County is the best place to live, work, and raise a family, with low unemployment, high-income jobs, low crime rate, and public schools that are consistently ranked among the best in the United States. Major companies like Volkswagen and Hilton are moving their headquarters to Fairfax County because of our great quality of life. Fairfax County is also a pioneer of the “Cool Counties Initiative” to reduce global warming emissions 80 percent by 2050, through energy efficiency, tree conservation, tele-work, green vehicles, green buildings, recycling and other cost effective policies that both save energy and save money. Your contribution to the Fairfax County Democratic Committee (FCDC) will help elect Democrats so we can keep Fairfax County moving forward. 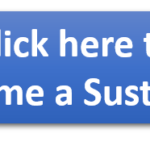 Click here to download the Sustainer Form or click the blue bottom above. FCDC Sustainers are the backbone of our organization by making monthly or annual commitments to support the operations of the Fairfax County Democratic Committee (FCDC). FCDC has a headquarters office in the middle of the county and our Sustainers’ contributions pay our rent, utilities and office supplies so we can help get Democrats elected. They literally “keep the lights on” here at FCDC HQ. Please become an FCDC Sustainer today. You can be a Sustainer at any one of the following levels – Friend ($120/year, $10/month), Leadership Circle ($300/year, $25/month), Benefactor ($600/year, $50/month), Winner’s Circle ($1,200/year, $100/month), or Champion ($2,000/year, $166/month). Virginia has elections every year and each year the Fairfax County Democratic Committee (FCDC) registers new voters, organizes more than 230 precincts, protects peoples’ Right to Vote, supplies campaigns with important resources, sponsors an internship program with dozens of young people, makes sure our voters know who is on the ballot, how they stand on the issues, where to vote, how to vote absentee, and we get our voters out to vote on Election Days. FCDC also has a headquarters office in the middle of the County and your contributions pay for the rent, utilities, and office supplies. 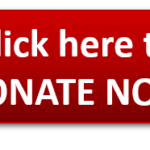 FCDC has a professional Executive Director and your donations pay their salary. When funds are available we hire field organizers to recruit volunteers to help get Democrats elected. That’s how we win. That’s how we move Fairfax County forward and your contributions of time and money help make that happen. Your contribution may be used in connection with federal elections and is subject to the limitations and prohibitions of the Federal Election Campaign Act. Federal law requires FCDC to use its best efforts to collect and report the name, address, occupation, employer and location of employment for individuals who contribute $200 or more in a calendar year. Other contributions will be deposited into the FCDC non-federal account. State law requires political committees to report the name, mailing address, occupation and employer of individuals whose contributions aggregate in excess of $100 in a calendar year. Contributions are not tax deductible for federal income tax purposes. Contributions are not tax deductible for federal income tax purposes.FCDC is a non profit political organization under Section 501(c)(4) of the Internal Revenue Code. Payments to FCDC are treated as contributions.